Transparant coloured glass gives a modern and lively touch to every interior. 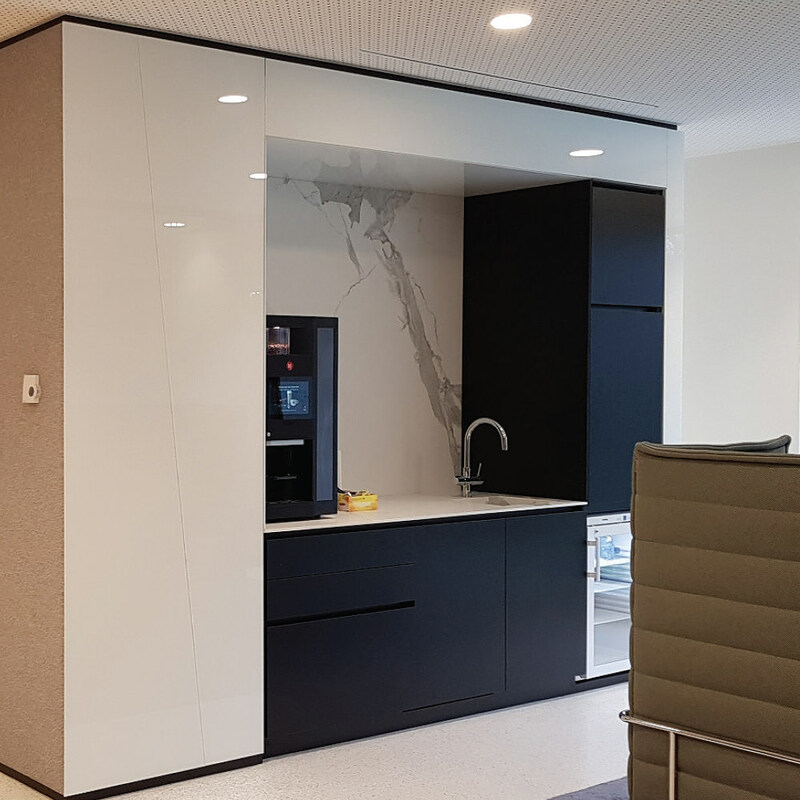 Lacobel and Matelac are two opaque ranges of floatglass for interior use with a reflecting and satin/matt finish respectively. The applications are endless — for example, think of a splash wall for the kitchen, a glass kitchen top or wall cover for the bathrooms. It is available is a broad range of neutral and trendy colours. Coloured film can be used with layered glass.